Alex Caruso handles the ball against the Portland Trail Blazers on April 9, 2019. There was still a game to play. About 90 minutes after Magic Johnson shocked the sports world by abruptly stepping down as President of Basketball Operations, the Lakers hit the court for their final game of the season. While it appeared that the Lakers were heading for one more tick in the win column, a last-minute burst from Portland’s Maurice Harkless transformed that into a 104-101 Trail Blazers victory. Kentavious Caldwell-Pope let all of his arrows fly, putting up 31 shots on his way to 32 points and eight assists. 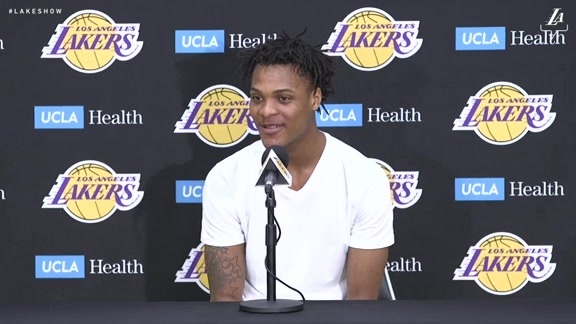 Meanwhile, the Lakers’ bench went nuts with every impact play that Jemerrio Jones — recently called up from the South Bay Lakers — made in his 11-point, 15-rebound, two-steal, two-block showcase. 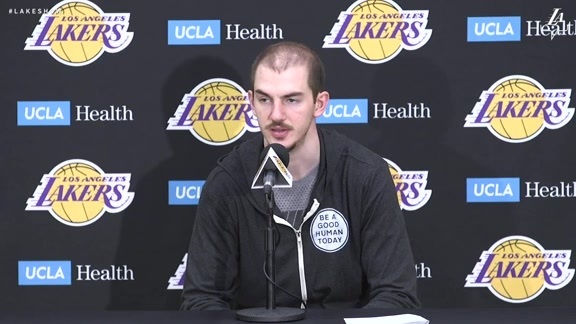 And while Alex Caruso had an up-and-down night — 12 points and 13 assists, but 16 shots and seven turnovers — he was clutch for the Lakers late. With just over a minute left, Caruso drew a foul and sunk a pair of free throws to tie the game at 99. He then hit a stone-cold pull-up jumper from mid-range to take the lead. But Harkless — who had 26 points and four blocks — still needed to give his say. First, he finished a finger-roll to knot the game back up. Then he spotted up in the corner, received a pass from C.J. McCollum and cooly splashed the game-winning triple, ending the Lakers’ season with a 37-45 record. Lakers coach Luke Walton did not comment on Johnson’s resignation. … Johnathan Williams provided 12 points and 10 rebounds. … Enes Kanter (22 points, 16 rebounds) and Damian Lillard (20 points, eight assists) had key nights for the Blazers. … Robert Horry, Ice Cube, Jonathan Dos Santos and Sebastian Lletget were among the sold-out crowd.